The Royal Art Society is a community united by a curriculum of symbolic alchemy and meditation. The textbook is online, accessible by three grades, and called the “Journal” or Book of the Royal Art. The Mission of the Royal Art Society is to organize a secular special interest group to study, teach and practice symbolic alchemy and meditation as a global community. We work to advance universal health, economic well-being, holistic education and human rights as fundamental to the success of the Royal Art. The Royal Art Society was constituted under no higher authority than the nine muses in effect June 6, 2006 in Old Town Alexandria, Virginia. It was founded as an informal research society in the Washington Library at the George Washington Masonic (National) Memorial, but it was not officially associated with the building or Memorial association. The then head curator and librarian sat as one of the founding members in his own private capacity. 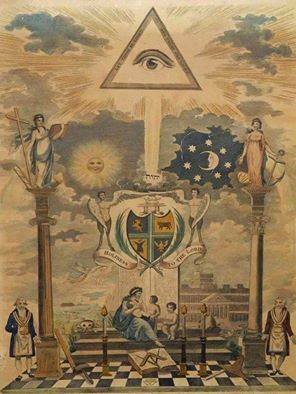 Its five original founders, Masons and non-Masons, male and female, first established the primary principle of membership that no exclusionary policy shall apply. We draw no distinctions between married, unmarried, divorced or widowed, healthy or afflicted, freeman or slave or prisoner, youth or aged. We discriminate not according to place of birth, language, race, ethnicity, religion, political orientation, or economic status. No one shall be discriminated against for reasons of gender, gender identity, sexual orientation, or any other distinguishing feature. Alchemists come in all shapes and sizes, backgrounds and socio-economic statuses. We are business professionals, doctors, scientists, attorneys, military personnel and security agents, film and music industry professionals, teachers, environmentalists, human rights activists, philosophers, theologians, students, laborers, housewives and mystics. The Royal Art Society is a social order, a federation of self-governing schools and a FELLOWSHIP of self-willed individuals, bound as One by private identification with the underlying principles of global internal alchemy. The Royal Art Society organizes symbolic alchemists under a single, united, global community and special interest group, to promote the development of the Royal Art and a peaceful world order. Royal Art Society symbolic alchemy is syncretistic, drawing analogies and combining elements of an eclectic mix of mythologies and philosophies, utilizing only the universal basics of the major world traditions. Its rites are based on scientific experiment and unbiased observation. It is the foundation of a forum based on common ground and a tested, efficient, minimalist system of meditation, enlightenment and contemplation. The Royal Art Society is rooted in both the Western Mystery Tradition and Eastern mystical systems. 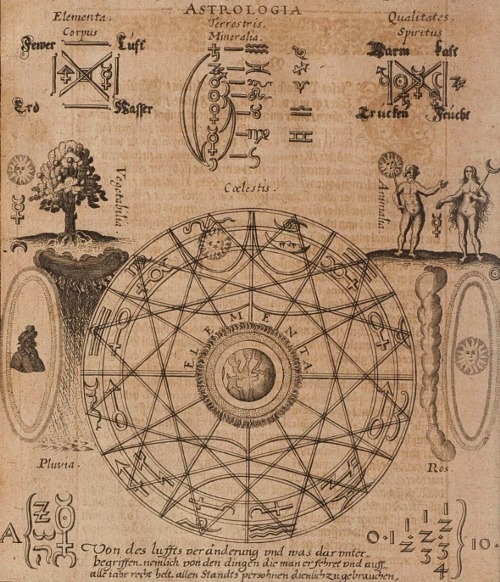 The eight interconnected systems within the Western esoteric tradition discussed in the Book of the Royal Art are: Hermetic philosophy and alchemy, Neo-Platonism, Kabbalah, Renaissance magic, Rosicrucianism, Freemasonry, European Indigenous Traditions and New Age spirituality. These eight systems all describe the story of Creation as a progressive degeneration of cosmic unity into plurality, and the process of redemption as a reversal of this condition. This is the Hermetic transmutation or Great Work, the Neo-Platonic contemplation, the Kabbalistic Tikkun or ‘return’ to Godhead, the magic of Europe, the Rosicrucian Art, and the Masonic Craft. It is also the Samadhi of Vedic yoga, the nirvana of Buddhism and the Daoist alchemical return to the Source. The Royal Art Society claims a lineage from the West beginning with Hermes Trismegistus and extending through high grade Freemasonry. It is also in varying measure connected to prominent yogic, Daoist taijiquan and Zen Buddhist pedigrees. Although the Royal Art Society preserves a theory and practice of inner alchemy from a Western standpoint, it is recognizably Daoist in nature, practicing the syncretism it preaches. Daoism is the cultivation of the mind. A Daoist lives in accord with nature’s rhythms, seeking mystical union with the Dao or Way, the all-embracing and ineffable One. It is known to Kabbalists as Godhead, to Buddhists as nirvana, to yogins as Samadhi, and generally, as Enlightenment. The Royal Art Society encourages one to be proud of one’s heritage, place in life and views, and to participate in open and safe discussion. The alchemist always uses reason and the rules of positive, productive public debate, whether being polite or straight-forward. The alchemist respects differences, but not to the degree of avoiding conversation or debate over sensitive points. Freedom of belief and freedom of speech must be universally protected by law and culture, and it must be backed by vigilant and unwavering physical force, for thinkers must be able to express themselves honestly, even giving and receiving perceived insults with impunity. Today the world’s diverse traditions of alchemy have converged in the Royal Art Society to form a school of holistic therapy necessary to the wellbeing – and possibly the survival – of human civilization. The Royal Art Society is the seed of the center of intelligence of the human race and the planet earth as the brain is the center of intelligence in the human being. The body politic is an organic matter, and its affairs are under the jurisdictions of Biology and Medicine, dependent upon the absolute principles of health and disorder. The Royal Art is still in a primitive state, so it must be recognized that philosophy and ritual will be adjusted as science evolves. The Book of the Royal Art, the foundational literature of the society, is simply a landmark in the development of the ever-changing system of global alchemy. Every humble experimental alchemist is always potentially on the verge of the next great milestone of human civilization and consciousness. From the Book of the Royal Art, ‘Candidate’s Introduction’: The Royal Art, known technically as symbolic alchemy, is the eternal art of transformation. It is called royal because it is the supreme profession, encompassing the philosophy of nature, the art of life, and the science of government. In illumined circles it is the art of doing nothing. By definition alchemy is the transmutation of the base metals lead and iron into the noble metals silver and gold. The alchemist’s quest is for the pill, powder or elixir that turns every metal it touches into gold – the mysterious Philosopher’s Stone. This quest is a fitting metaphor for the science of transmuting base matter, the dross of mundane existence, into health, empowerment and enlightenment, the alchemical Holy Grail. In both Chinese alchemy and the Western Royal Art, two distinct interpretations of alchemy have developed over time: ‘external alchemy’ (Mandarin waidan) and ‘internal alchemy’ (neidan). ‘External alchemy’ is the literal interpretation, producing and consuming herbal recipes, pills, powders and elixirs with the intention of cultivating life and longevity or achieving physical immortality. By contrast, ‘internal alchemy,’ also called inner alchemy or symbolic alchemy, is a path of meditative cultivation, a form of therapy, as exemplified by C. G. Jung’s analytical psychology. This includes some combination of strict moral discipline, a regimented or healthy diet, and specialized exercises to nourish and purify the spirit, called quintessence or life-force. Symbolic alchemy often includes breath control, meditation, visualization, moderation of carnal practices, and physical exercises. It also, therefore, aims to nurture and prolong life, but only incidentally. Quite unfortunately, the science of chemistry mixed with mystical speculation has invited many superfluous, fantastic, superstitious and even fraudulent practices throughout history. Operative alchemy, or practical chemistry, led to the origins of modern science. Speculative, or symbolic alchemy, became a major influence on the magicians of the Renaissance and their spiritual heirs, the Rosicrucians, Freemasons and other branches of the Western Mystery Tradition. 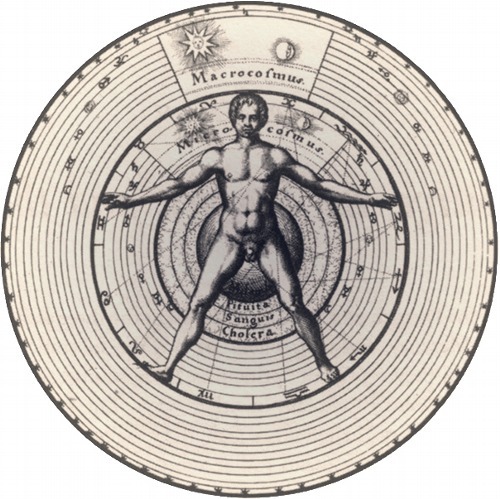 To be effective, symbolic alchemy must align with science; and to be useful, science must align with symbolic alchemy. This paradigm had a profound impact on the Enlightenment, known as the Age of Reason, which gave birth to our modern understanding of universal human rights. Science, from the Latin scientia, meaning “knowledge,” was anciently known as natural philosophy. It is a rational worldview that tests ideas thru physical demonstration, makes predictions about events within the order of the cosmos, and systematically organizes its knowledge into a body of literature. Science without the Royal Art is simply a method of observation, a form of understanding and a source of wisdom, but because it fails to coordinate its vast stores of information into a comprehensive catalog (a holy scripture, if you will) and holistic lifestyle, it falls short of being a wisdom tradition, as such. The layman will not need to comprehend the following description of the alchemical tradition. He or she will not need to learn complicated definitions or procedures. Essentially, the Royal Art is meditation, a function of the mind, that separates natural quintessence from base matter, order from chaos, and joins them together again into a pure, harmonious and benevolent whole. This is the essence of the Latin alchemical motto Solve et Coagula, which means to dissolve and coagulate, or separate and join. The profane material is transformed by an ancient and eternal operation. It is first destroyed and then it is reborn as something noble and worthy. The process can be assisted with ritual and props but it takes place entirely within the mind. The Royal Art is a method of improving the mind. In meditation the alchemist goes beyond effort, bliss and self-awareness, to a state of no-mind. No-mind, Chinese Wu Nien, is stillness of mind – not absence of mind like inanimate objects – but true self in pure form. The alchemist practices the method of internal alchemy in his cultivation of no-mind; controlled and relaxed guided visualization that leads to the union of microcosm and macrocosm and return of everything to the void. The meditation of symbolic alchemy can be learned within an hour. It allows for clarity and objectivity, stress relief and improved satisfaction in personal life and business. As a form of stress management, health benefits of the Royal Art can include: a stronger immune system, a healthier heart and improved blood pressure, enhanced memory, and weight loss. Meditation can help relieve anxiety and depression, improve relationships and contribute to a longer life. Alchemical meditation also helps reduce mental and physical pain in healthy individuals as well as those struggling with disorders or rehabilitating after detoxification, chemotherapy or surgery. Of course, every intelligent alchemist is a skeptic, and will make his or her own investigations of a wide range of sources. The Royal Art Society functions as a resource for just this kind of inquiry.